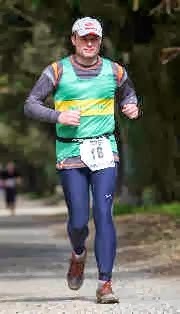 Stringy's Running Blog: 21468. My lucky number. What are the chances of that? 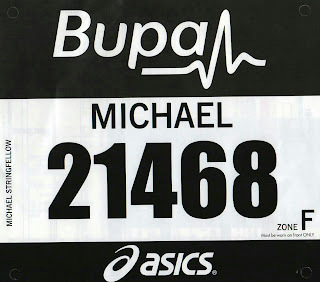 My Great North Run number arrived a couple of days ago and would you believe 21468 is my lucky number. Quite a few people on Facebook and running forums I frequent are moaning about being in the wrong zone. "Running with fatties in Pink" "dodging the 'hand holding fun runners' in the white zone" etc. I expected more from them. All runners whether they've been running 1 week, 1 month, 10 years or 20 years all started somewhere; so to belittle people is out of order. Anyway; the GNR isn't a half marathon for PBs. Yes you can run a PB but the GNR isn't just a half marathon; its an event, an occasion...its the Great North Run. So if you want to run a fast half, go somewhere else. However, If you want the best atmosphere, the best support, the best buildup to race weekend and the best half marathon in the world, embrace the slow runners, the middle of the pack runners and the fast runners and do the Great North Run.